A podcast created specifically for commercial greenhouse growers and horticulture professionals – including but not limited to retail garden centers, nurseries and landscape professionals. Follow us for fun content daily! Hosted by Ball Seed's Bill Calkins (bcalkins@ballhort.com), each episode features a guest sharing timely and relevant horticulture ideas, innovations and technology, as well as current greenhouse industry topics and news – practical information for greenhouse professionals. Our guests are industry leaders and advocates with experience working with growers of all shapes and sizes sharing timely but timeless strategies to make any greenhouse business better. 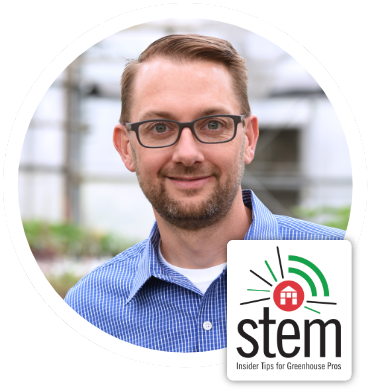 STEM: Insider Tips for Greenhouse Pros is available for download via just about any podcast player – it’s best to subscribe and not miss an episode!